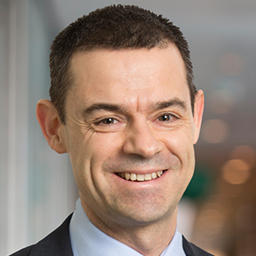 Global co-head of the Hogan Lovells Privacy and Cybersecurity practice Eduardo Ustaran is widely recognized as one of the world's leading privacy and data protection lawyers and thought leaders. With over two decades of experience, Eduardo advises multinationals and governments around the world on the adoption of privacy and cybersecurity strategies and policies. Eduardo has been involved in the development of the EU data protection framework and was listed by Politico as the most prepared individual in its 'GDPR power matrix'. privacy compliance programs and mechanisms to legitimize international data flows. Eduardo is the author of The Future of Privacy (DataGuidance, 2013), a ground-breaking book where he anticipates the key elements that organizations and privacy professionals will need to tackle to comply with the regulatory framework of the future. has lectured at the University of Cambridge on data protection as part of its Masters of Bioscience Enterprise, and regularly speaks at international conferences. Brexit is Coming—Are You Ready? Safe Harbor: American Pie or Eaton Mess?